This article pertains to "HappyFox Classic". If you are using the newer version of HappyFox, click here to know about configuring APIs. 1. To enable the API in your HappyFox account, go to "Manage >> Integrations". 2. 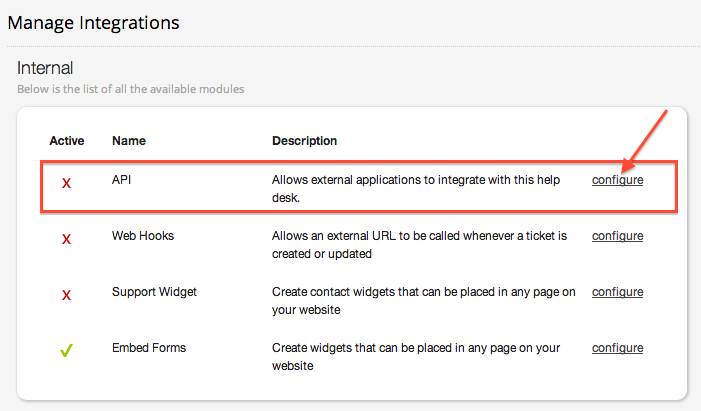 Under "Internal" section, click on "Configure", across the 'API' row. 3. Turn on the API support to "Yes" and click on "Save settings". 4. 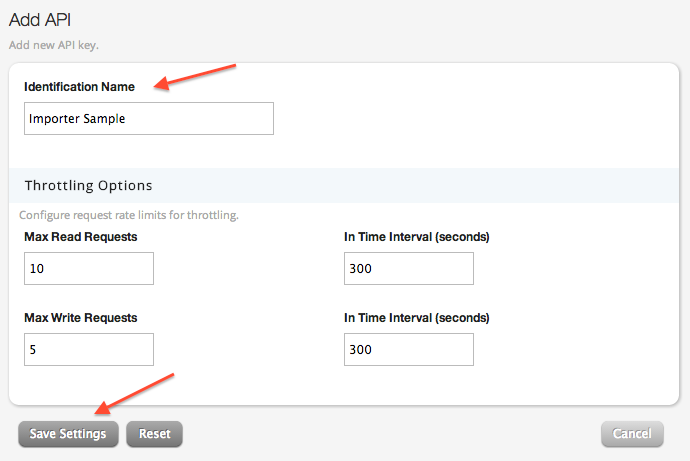 Once you have saved these settings, click on the "Create New API key" link in the "API Keys" section. 5. Provide an identification name for the "API", and if you have specific throttling options, configure the same in the respective fields, and click on "Save settings". 6. 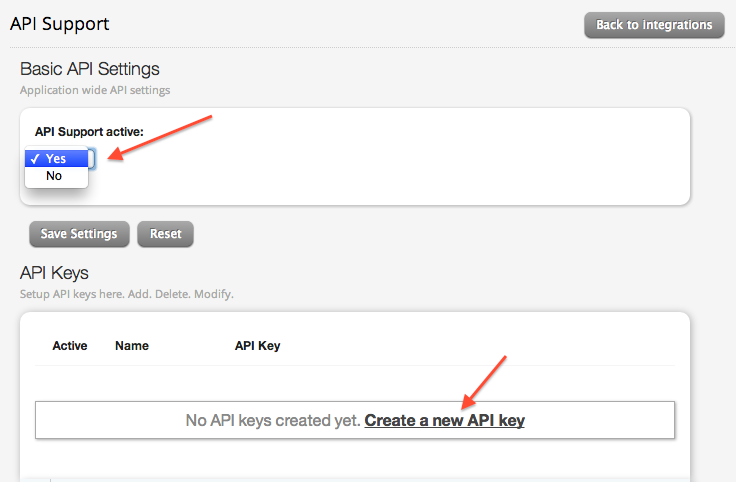 Once saved, you will see the created API key under "API Keys" section. 7. To view the 'API key' you have created, click on "see 'auth code" link. 8. You can use this API key and the Auth code for setting up your API.